The Trajecsys Report System allows students to report progress toward mastery of specific skill sets as designated by each program. 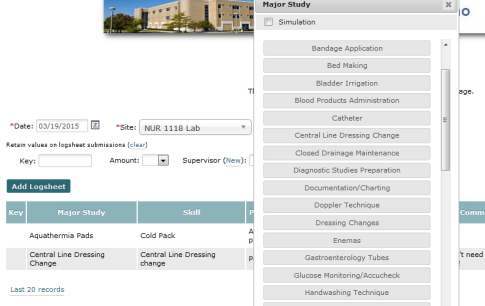 Students may report the skill, level of participation (observed/assisted/performed), supervising instructor or preceptor, time spent, pathology, or other available data points. Proficiency checklists (also known as competencies, checkoffs, validations, etc.) are then associated with each reported activity on the same report for a rapid visual overview of the student's progress in mastery of each skill or procedure. Spreadsheet export is available to both the student and faculty.